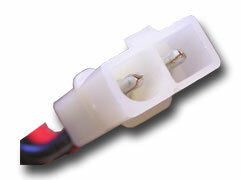 Option 2: 3" BEC female Connector for output terminal with 70 degree thermostat. please use our 0.6A Compact smart charger to charge this battery. Charging time is 4 hours. Smart Tips Compatible with all Nikko and RadioShak RC Toy cars. Awesome service on the phone, in delivery and the product……Everybody was asking me about where the batteries came from and I told all the club members “I got them at Batteryspace.com and the service I got was incredible”……Please share this with the bosses……short period of time I needed these in and they achieved it…..TY TY TY you made my event!!! !